I hope you all had a chance to visit your local Comic Book Store and participate in Halloween ComicFest. My children entered the costume contest at our local store and we picked up a handful of great comics that we enjoyed reading together. Our highlights were Axe Cop, Cow Boy, and Johnny Boo. Well, on to the weekly releases and as always, hit me up on twitter at @newhousebailey with any feedback. 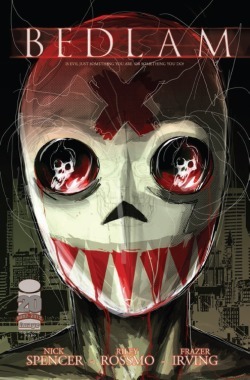 Bedlam #1 – Nick Spencer, the master behind Morning Glories and Infinite Vacation, takes a dark turn with Bedlam. Madder Red is a deeply disturbed serial killer who has baffled the police for years. This book opens with one of the most shocking and disturbing scenes I have read in some time. The art is equally disturbing and the character design is phenomenal. Bedlam grips you from the start and leaves you hanging on every word. Nick Spencer has another hit on his hands. Well done sir. Masters of the Universe: The Origin of Skeletor #1 – As someone who grew up a huge He-Man fan, I never knew what made Skeletor the villain that he was. In this book we learn the tragic figure that is Keldor and his quest for the throne of Eternia. It might be my nostalgic self taking over, but I enjoyed this book and the insight it provided to a franchise that meant so much to me as a child. 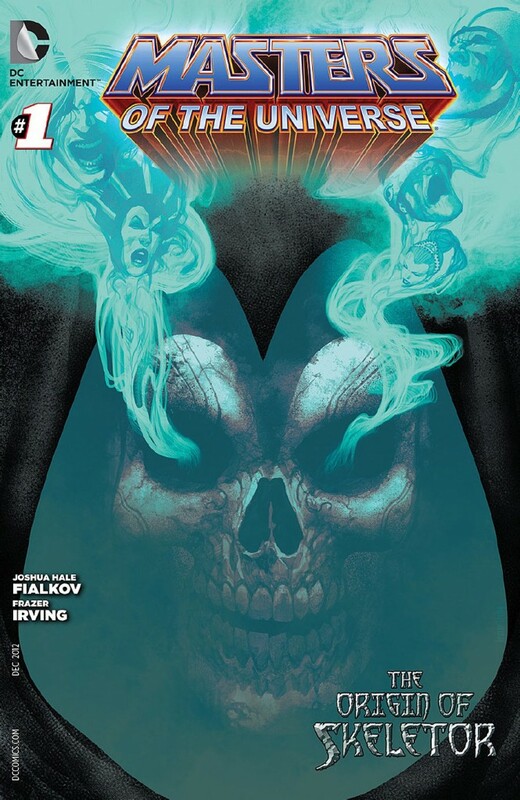 Happy #2 – It seems that Grant Morrison is either pure gold or something I don’t quite get. With Happy, I must say that I don’t quite get it. Nick escapes from the hospital from the help of his imaginary friend and begins to confront the mob. It is intriguing and I am left curious, but still don’t really get the overall picture. I will pass on the next two issues. Hit Girl #4 – The ultra-violent series from Mark Millar continues as Hit Girl flirts with being caught after she swore to give up her role as superhero. While she is dealing with convincing her stepfather that she has hung up her cape, Ralphie Genovese makes a move to stick it to Detective Williams without realizing that he is holding Hit Girl at gunpoint! Winter Soldier #12 –Bucky strives to get Black Widow back and must go through with an old Cold War mission to save her. With encounters with Wolverine and Daredevil, it is no wonder that this series is a success. Brubaker treats Bucky with the same care he gave Captain America for so long and it shows. Lot 13 #1 – In a creepy tale of a family on the move, Steve Niles delivers an intriguing book filled with mystery and suspense. Not a whole lot of back story is provided, but enough is told that has me looking forward to the next creepy issue. 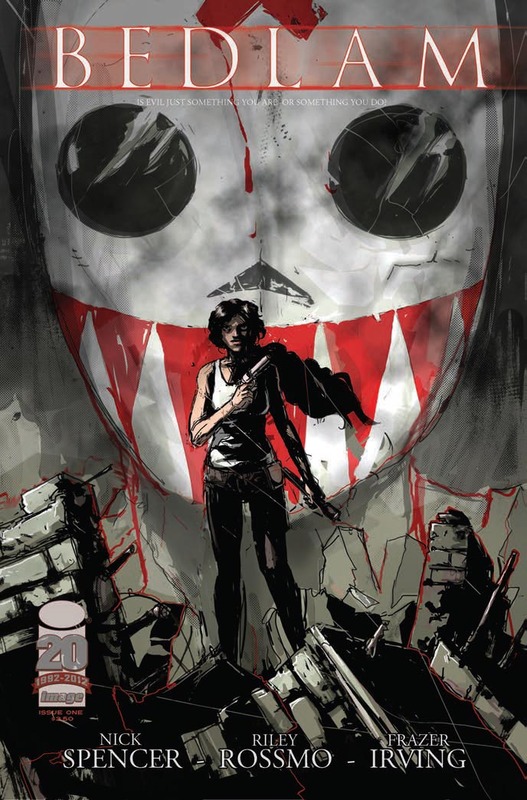 American Vampire #32 – Scott Snyder continues his run on American Vampire along with Raphael Albuquerque in what continues to be a great book. The vampires are hiding amongst the Hollywood elite that is worth your time. Fatale #9 – Brubaker continues his noir epic with another solid issue that I should have picked up. I have really enjoyed this series, but decided to move to trades a while back. Based on the success of issue #9 I might should have stuck with the singles.